We had fishing tackle, rods, electronics, downriggers, clothes, bait, food. We had a 1,642 kilometre round trip to make. That’s the distance from Regina to Nordic Lodge and back on famed Reindeer Lake, Saskatchewan. 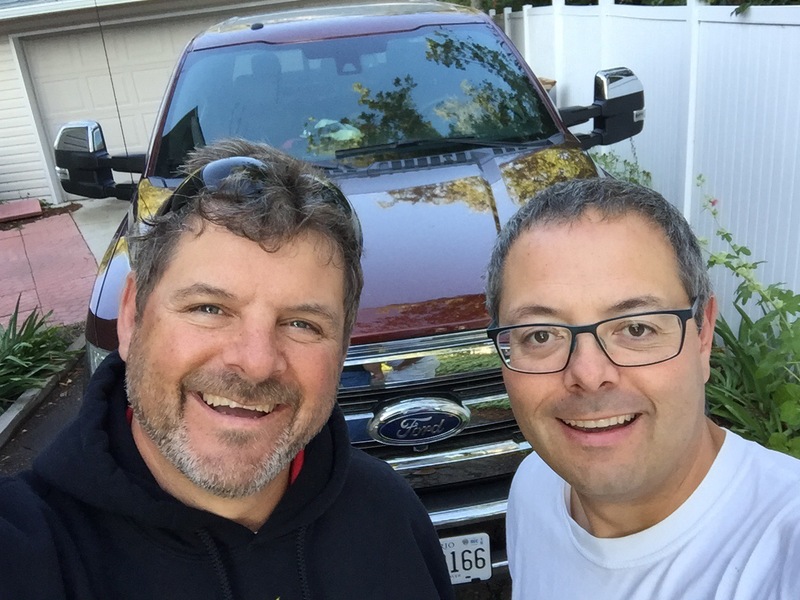 We were fortunate enough to have the opportunity to use a Ford F-150 King Ranch, courtesy of Ford Canada and Bennett Dunlop Ford. It got us there and back with features and comfort one could only dream of. 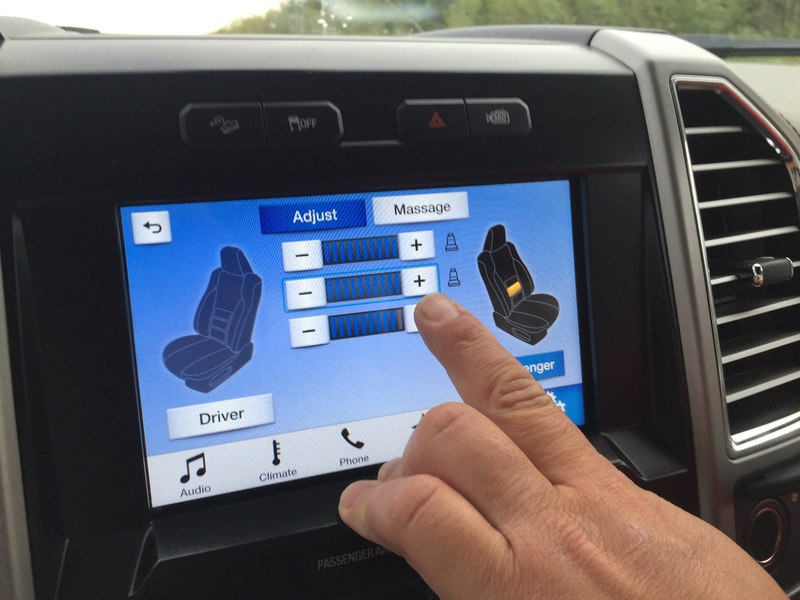 We first test drove the King Ranch when we used its back up assist feature earlier this summer. But little did we know there was much more to this truck. When we first jumped into the seats, we discovered a massage feature. Talk about over the top comfort especially on a long trip like this. With all of our electronics, there’s a tremendous need for power. This truck had a multitude of power and data inputs to charge up our phones and fish finder batteries. 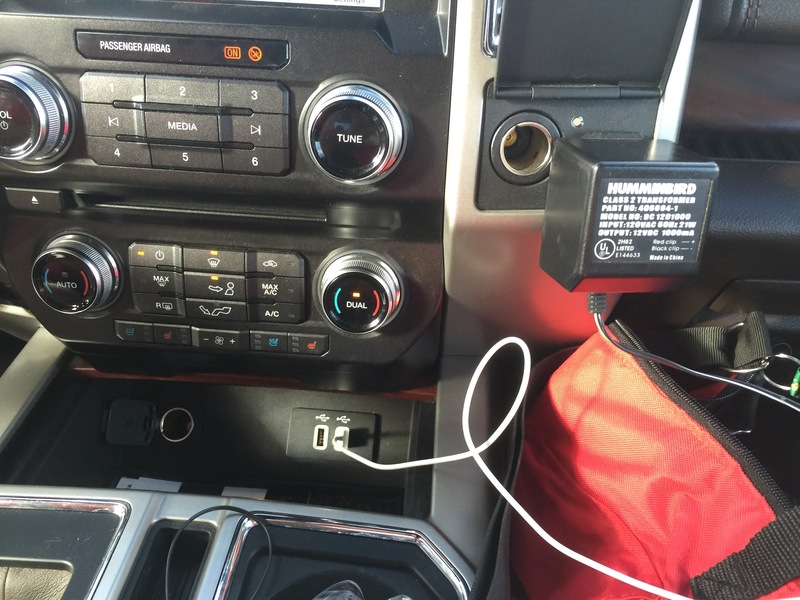 When I plugged my iPhone into the USB port, the phone charged and the on screen display also allowed total control over my phone audio systems. This was critical to giving us some tunes from our personal playlists. It also has satellite radio, independent climate controls and much more. What was equally as cool was the additional step features this truck offered. This allowed easy access to loading the entire back of the truck from either side as well as the back! Conclusion: an awesome truck for any situation a fisher would find ourselves in. Thanks to our friend Grant Bastedo, Ford and Bennett Dunlop for the ride.